The MIT Libraries invites you to join a discussion of the MIT Reads fall selection: Octavia Butler's Dawn, chosen in partnership with the Black Students' Union. 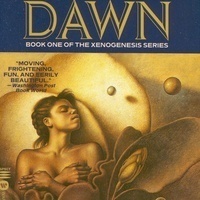 Nominated for the Locus Award for Best Science Fiction Novel, Dawn reveals a world in which the future of humankind is threatened. Self-determination, identity, sexuality, even basic genetics are all up for grabs. Compromises must be made that will either save humanity or destroy it forever -- and as Lilith Iyapo, a young Black woman, discovers, telling the difference between salvation and destruction can be harder than you’d expect. Octavia Butler (1947-2006) was a multiple recipient of both the Hugo and Nebula awards and the first science fiction writer to receive a MacArthur Fellowship.